I do declare, this may be the longest I have neglected my little blog here. It is December and same excuse as in previous years. 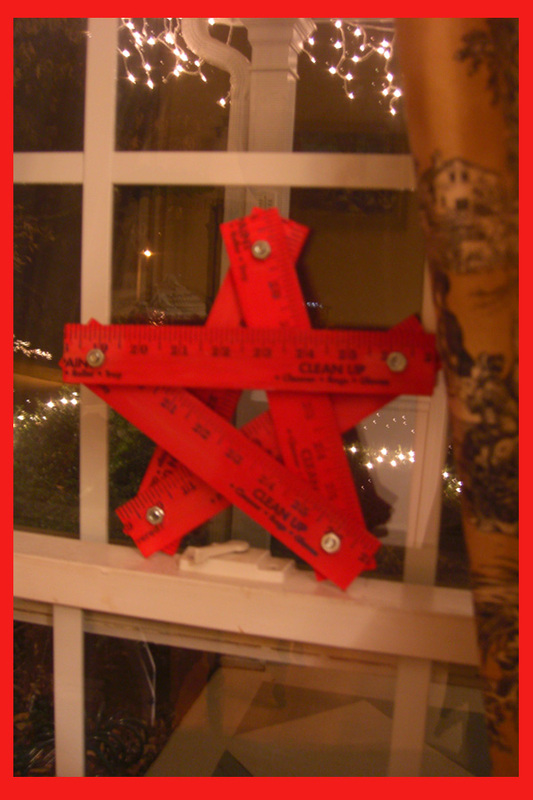 I have two offspring whose birthdays are in December and that along with duties and prep for that birthday we celebrate in less than a week now, have kept me out of the studio creating… If truth be told, I have done lots of little, relatively creative stuff like getting my husband to cut, drill and sand segments of yardsticks (I painted them all red because I didn’t have 27 vintage yardsticks) to make these yardstick stars (based on these vintage stars) with my kids at church. 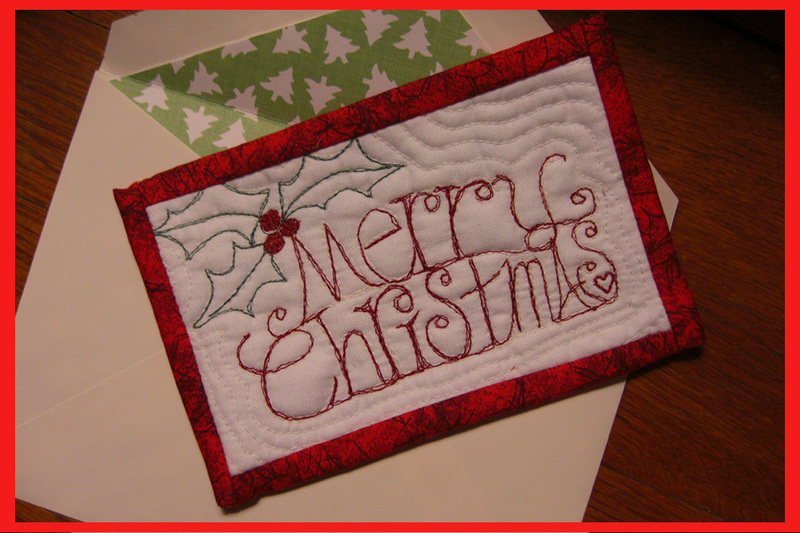 I stitched up one Christmas card to send to a college friend of my husband’s (she sends the most wonderful hand cut cards each year with the stipulation she gets a handmade card back. I don’t want to be crossed off her list!) I love getting Christmas cards but when you don’t send them out, you don’t get many in return. Anyone else notice that? Cards have been low on my priority list for the last few Christmases, maybe if I start in August next year (and sell a painting to pay for postage!) I can send out the 60 to 70 cards to people who should be getting them. 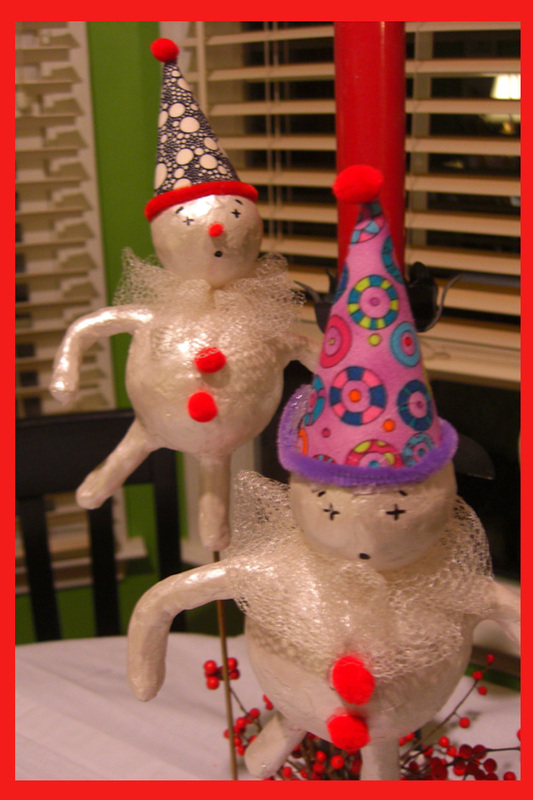 And… I was so excited to find these little celebrating snowmen based on a picture in a Martha Stewart Living magazine from several years ago. These guys have been hiding out in my attic despite all my best efforts to find them (or urging my husband to find them…) for the last 3 or 4 years! They were made from covering styrofoam balls with paper clay and painting them iridescent white. 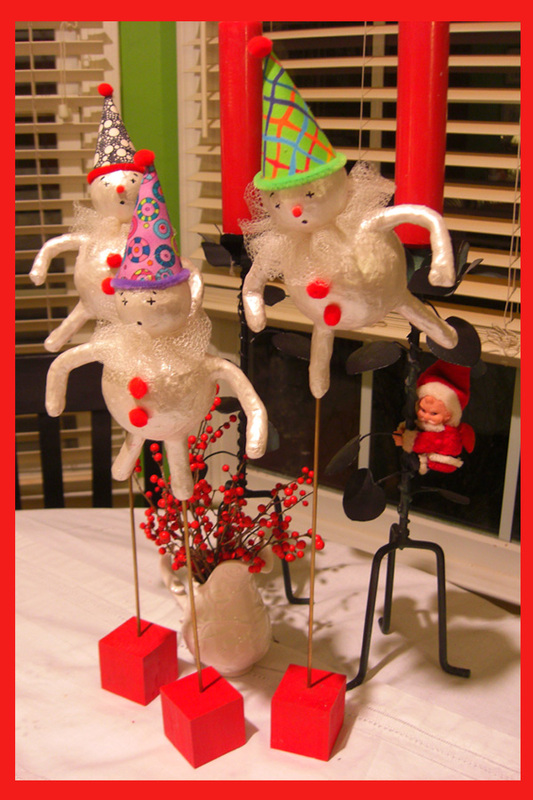 I put them on a painted wooden block and if the wind doesn’t blow much, they stand upright looking like Macy’s Parade Floats! Love them! Sorry for the blurry photos, but they are my specialty. I hope your merry making thus far has actually been merry!